National Peoples Party lauded Chief Minister Pema Khandu for initiating governance reforms and bringing in the much required system in place. Welcoming the Khandu led BJP government’s decision for setting up the Arunachal Pradesh State Human Rights Commission and to make functional the State Lokayukta, NPP hoped that this will ensure transparency, accountability and responsibility in the government and check corruption. The party also appreciated the decision of Cadre review at State Civil Service and State Secretariat Service level which was first in the history of Arunachal Pradesh. Uncountable initiatives in myriad sectors and providing the people the right governance, this government is winning the hearts, the pary leader said. 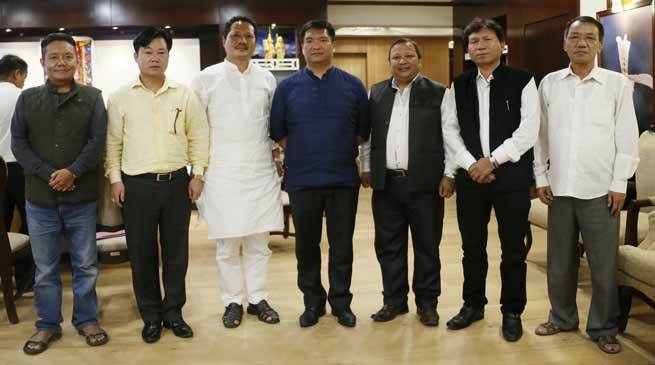 NPP extended wholehearted support to the Pema Khandu led BJP Government in the state and hoped that it will continue to do the good works and sail Arunachal Pradesh to newer heights. CM extended gratitude to the NPP for their unconditional support and expected that the Party will join hands and become partners to development.